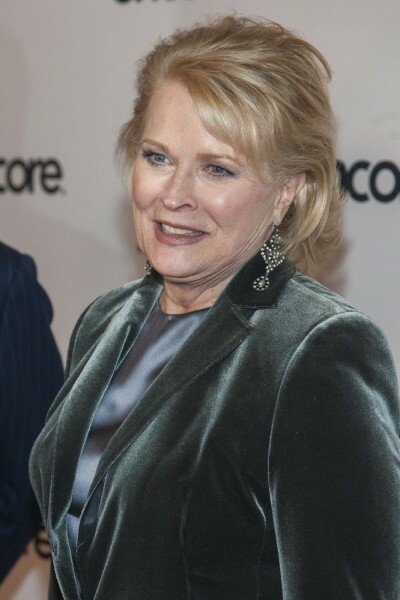 Candice Bergen is an American actress and model. Her father, Edgar Bergen (born Edgar John Bergren), was a ventriloquist, comedian, and actor, and was of Swedish descent. Her mother was actress and model Frances Bergen, also known as Frances Westcott (born Frances Westerman), who had German and English ancestry. Candice is married to real estate magnate and philanthropist Marshall Rose. She has a daughter with her late husband, French director Louis Malle. Candice’s paternal grandfather was Johan Henriksson Bergren (the son of Malte Henrick Berggren and Elsa/Else Persdotter). Johan was born in Vanneberga, Vinslov, Skåne, Sweden. Malte was the son of Nils Fredrick Berggren and Brita Ulrika Dehn. Elsa was the daughter of Per Nilsson and Ingar/Ingrid Nilsdotter. Candice’s paternal grandmother was Nilla Svensdotter Osberg (the daughter of Sven Nilsson and Ingar Mansdotter). Nilla was born in Rattelov, Stoby, Skåne, Sweden. Sven was the son of Nils Nilsson and Elna Nilsdotter. Ingar was the daughter of Mans Qvist Andersson and Boel Nilsdotter. Candice’s maternal grandfather was William A. Westerman (the son of Frank W. Westermann/Westerman and Mary C. Wallen/Wallin). William was born in Alabama. Frank was German, the son of William Westermann and Dorothea Weishaup. Mary was born in Georgia, to German parents, Albert Wallen and Theresa Steffel. Candice’s maternal grandmother was Lille/Lillie/Lilly Mabel/Mae Howell (the daughter of John Charles/Crenshaw Howell and Missouri/Masurie Annie Rainey). Lillie was born in Georgia. Missouri was the daughter of Thomas Bennett Rainey and Mary Elizabeth Fannin.